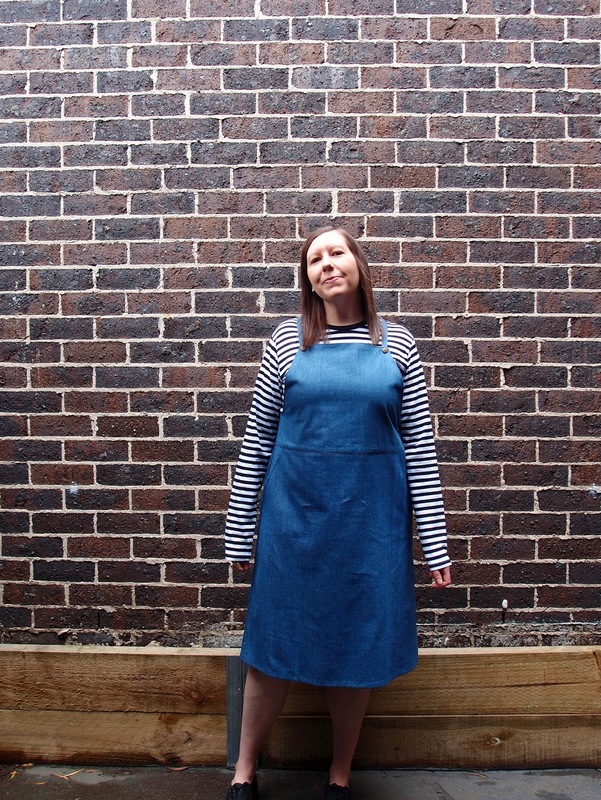 This is my second version of Marilla Walker’s Dungaree Dress pattern, which comes as part of her Roberts collection. This collection includes four options – a jumpsuit, dungarees, a dungaree dress (in two different lengths) and a v-neck woven shirt. 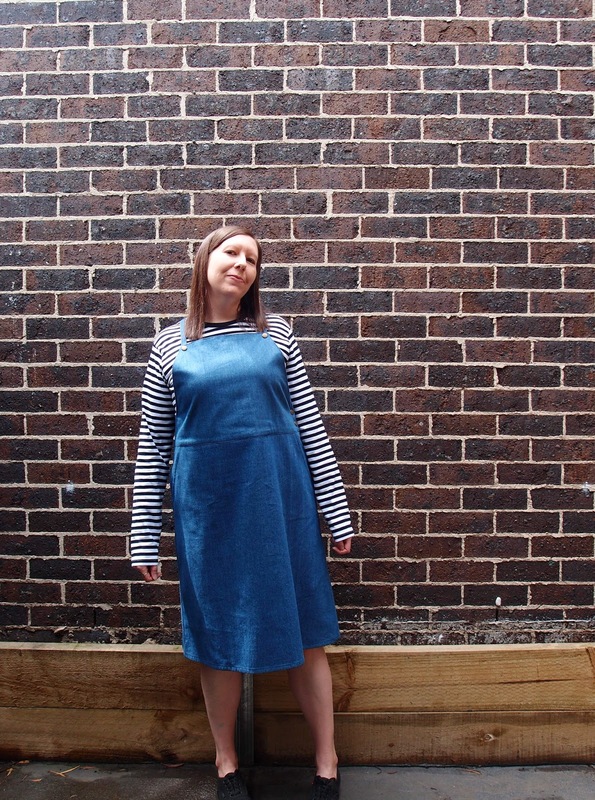 I initially bought this collection purely for view C, the Dungaree Dress pattern, and my first version was made up in a mystery lightweight black fabric. 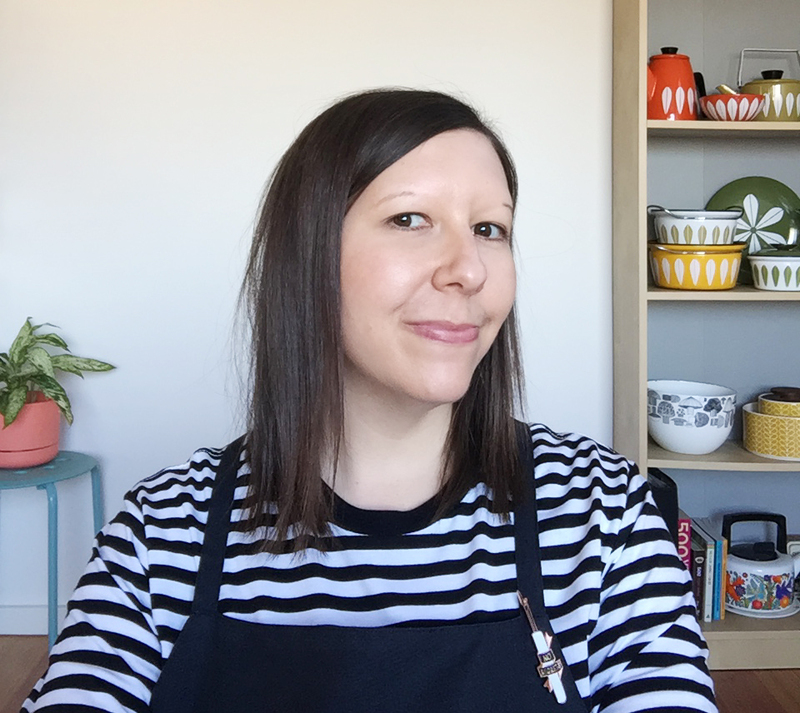 I made it as a trial run as I honestly wasn’t sure it would suit me but I really love it, and every time I wear it to work my colleagues hint that they’d like me to make them one (fat chance, ladies). 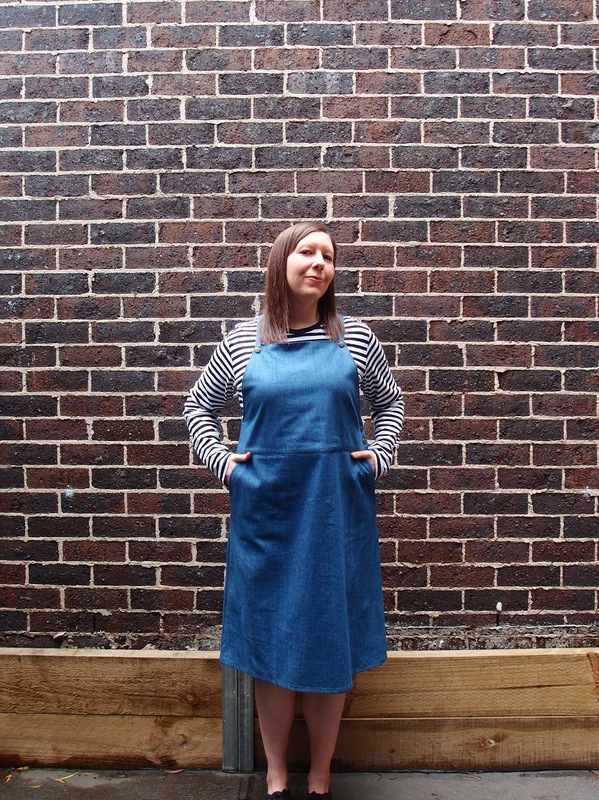 For this version I thought I’d go traditional dungarees with blue denim (a lightweight version from Spotlight) and include the side and strap snaps, which I omitted the first time around. 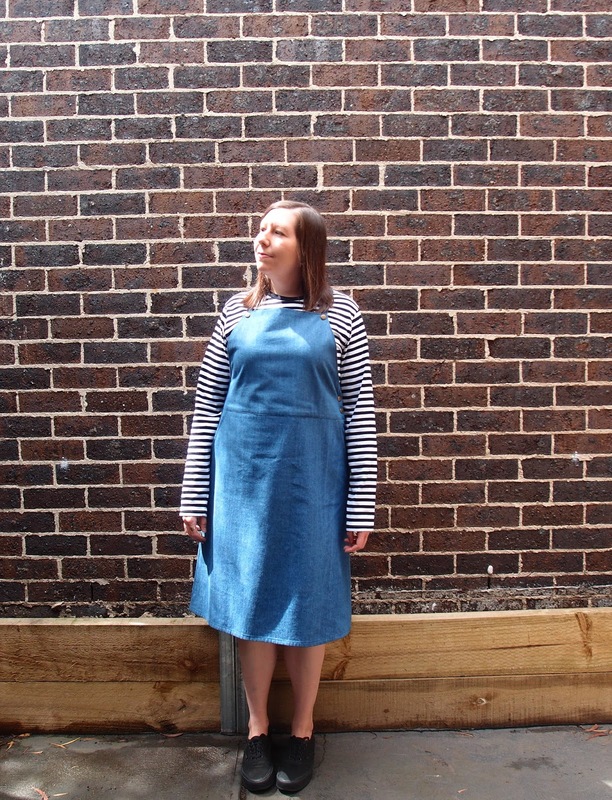 I made up a straight size 4, which worked well for my first version, but in this more structured denim I think I maybe should have sized up for the bib section. And made the straps a little longer so that the dress sits a bit further down. It doesn’t feel too tight on, but looking at the photos it's maybe a little figure hugging in the top half. This was my first time inserting snaps and it went pretty well, although I’m glad I did a practice run first (turns out hitting those snaps with a hammer is a great way to work off some aggression!). I cut the mid-calf version of the skirt, but ended up making it a little shorter so that it sits a couple of inches below my knees. I think my favourite detail about this dress is the bib and pocket lining. I used some quilting cotton fabric that had been sitting in my stash for ages. You can’t see it from the outside, but it’s so fun to know it’s there! 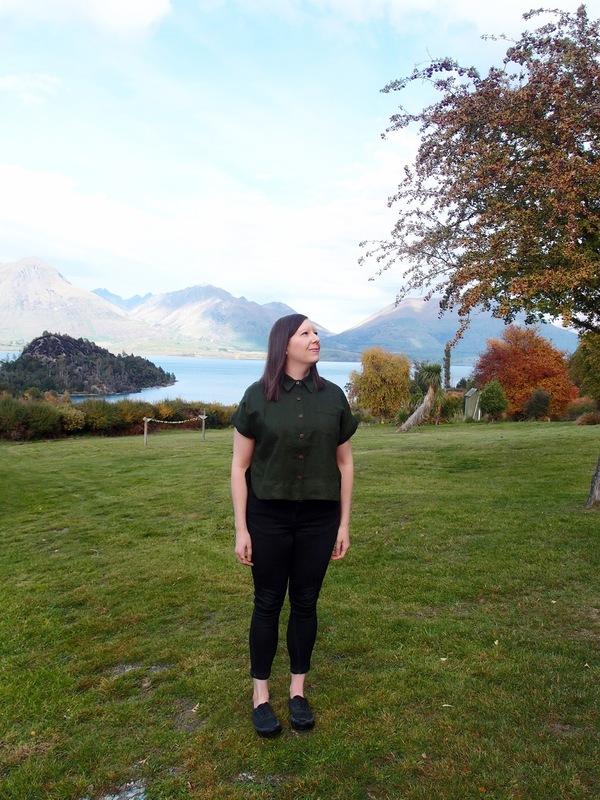 I love the versatility of these dresses – you can wear them in warmer weather with a t-shirt, and layer up with a long-sleeve tee or a cardigan and tights in winter. Plus, pockets. And they look good with sneakers – my two main criteria when it comes to dresses. I don’t imagine this is the last time I’ll make this pattern; maybe a winter version in black denim or another summer version in beautiful linen would be nice. Cute - love a transseasonal garment!